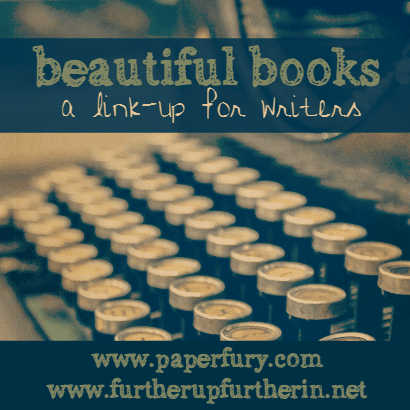 Anyway, last month instead of a Beautiful People post, Cait at Paper Fury and Sky at Further Up and Further In switched things up for NaNoWriMo and did a link-up called Beautiful Books, where writers can introduce their story ideas. I wanted to do this for last Thursday's post, buuuut I totally lost track of time. SO (even though we're 3 days into November) I'm doing it today. Sue me. How did you come up with the idea for your novel, and how long have you had the idea? I came up with the idea after reading If I Stay in the summer of 2014. After reading the book, I became very interested in the idea of having a MC who was a ghost or in some form of spirit state. As I was sitting in my room working on my computer, a line popped into my head: "My name is Charlotte Loraine Boudelé. I am sixteen years old. And I am dead." And... yeah. I totally wasn't just going to let that line fade into nothing. And so the plotting began! Why are you excited to write this novel? I'm excited because this story is not like any other story I've ever written. It's suspenseful, mysterious, and chilling. What is your novel about, and what is the title? 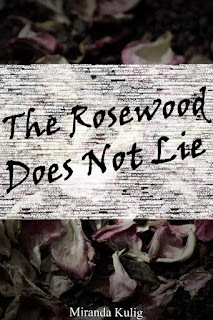 The Rosewood Does Not Lie is a YA mystery/suspense/thriller/I don't even know about a 16-year-old ghost named Charlotte who has been living among humans for decades. She has been invisible to everyone around her until she meets Luke--a goofy 15-year-old who can see and hear Charlotte just fine. The two team up and work together to learn the truth about Charlotte's death, and unintentionally uncover the terribly deep and dark secrets still haunting their small town of Rosewood, California. Sum up your characters in one word each. (Feel free to add pictures!) Ooo... okay. I got this. Which character(s) do you think will be your favourite to write? Tell us about them! Definitely Charlotte. She's very quiet, an excellent listener, and overall a very humble and sincere person. I'm still learning a lot about her character, but I'm very excited to figure her out! What is your protagonist’s goal, and what stands in the way? Charlotte's goal is to figure out how she was killed, who is responsible, and how to make them pay so she can (hopefully) move on and no longer be stuck as a ghost. However, as she and Luke begin to unravel things, they learn that Charlotte's death was not a stand alone murder and that the people responsible are still out there, and are planning their next strike. Where is your novel set? (Show us pictures if you have them!) Rosewood, California (which is quite possibly a real place... mine however is fictional) and present day... ish. The first chapter is some time in the past, but I don't exactly know the time gap yet. What is the most important relationship your character has? Definitely the relationship with Luke. He's the only one who can see Charlotte, and is therefore her most valuable friend. How does your protagonist change by the end of the novel? Well, she learns the truth about herself and ultimately moves on and goes to Heaven. Yay!